I think a domain name with the word "Me" in it would be ideal. It's short and simple and works on your subconscious. Even AFA has a domain name with that word in it, LoveMe.com. lol. It reflects the user's desire to have someone love them. Likewise, RelocateMe.com signifies the same thing. @Johnny1975 you'd better check to see if that domain is still available, and if it is, grab it before anyone else does. It's a good domain name, short, simple and easy to remember. All the most successful dating sites have short simple domain names, so this is a must. For example: Match.com, POF.com, LoveMe.com, Blossoms.com, etc. 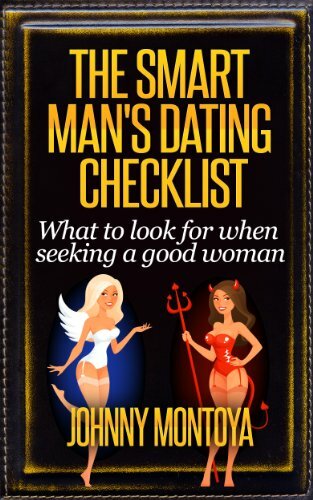 @Johnny1975 has a new ebook out about finding a good woman. I think these videos are a very solid marketing tool. I looked at the one for Plovdiv, where I've thought about spending some time. It's filled with fetching images. Made me want to visit all the more. Is there a way to get each individual video positioned to come up when the particular city is punched up on Youtube? Price strikes me as OK, given the targeted demographic. Unless you've got software to do it, this may involve a lot of research on your part for each request. Well thanks for the positive words. I'm not sure what you mean about making a video show up. You type in Plovdiv, Youtube recommends several videos having to do with Plovdiv. Perhaps you should submit all the videos separately into Youtube, Just start your own Youtube channel with the city vids as content. Might drive traffic to your website. That's what I'm doing. Those videos that I posted are from my youtube channel. Each video has a link in the description to my website. I've looked at the website for the first time since this thread began and the weebly domain name remains. I think if you're prepared to work hard to make the video's you should make the effort to change the domain to make it look professional. How much are you charging now? $97? The figure on the site is $197! Also, there are no indication to how the customer is meant to pay for the service and how safe the transaction will be. The name Location Independent Expat Relocate is too much of a mouthful. Should be much shorter so people can remember it and recommend it. "What was that expat site you told me about?" "Um...Location...er.....um....now what was it?...Damn,I've forgotten.......you could try googling LIER!" Taking into account all this and that the internet is a hotbed for fraudulent activity, I don't think the cautious internet customer would pay for this service currently, even if he/she was interested in the product. 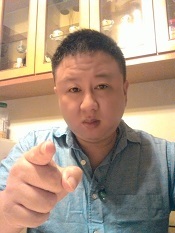 The video's are decent but it'll be a shame if you don't reap the rewards from your hard work. I think a good idea would be to add some facts about the city in question as well but you really need to alter and add a few things on the website first. Good slideshow videos. And good choice of mostly orchestral classic and traditional music for them. However unless it's just preliminary choices, I'd think the music could be aligned more to the nationality or culture of the country represented in each video. For example, the "Kaoshiung, Taiwan" video has a U.S. military theme ( i forget which branch) where it could use the Taiwan national anthem music instead. (www.youtube.com/watch?v=lvVRecQrHpU) "Sucre/Cusco, Bolivia" uses a Hungarian Rhapsodie (although the secondary music following, with the info slides is fine) which could be placed with "Budapest, Hungary", and the Cusco/Sucre video could use the Cusco pop music (www.youtube.com/watch?v=qj9-qXCV7Rs) heard on Art Bell's CoastToCoast and in some old pickup offroad tv ad commercials. Astrocartography: Using Astrology to find your best HA location! Winston vs Roosh...aka Location vs PUA...Location wins!